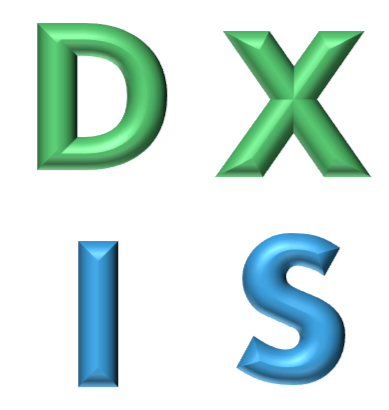 The Mother Lode DX and Contest Club is pleased to host the 20th (!) Annual Contest Dinner on Friday April 12th, 2019 at the International DX Convention in Visalia, CA. Contest Dinner tickets are on sale now. Attendance is only via pre-paid reservations and is NOT included in the convention registration. Dinner Program: We are pleased to present "Life, Contesting, and Everything: What Contesting teaches us about Life and where is Contesting Headed" by NCJ Editor Scott Wright K0MD. No Contest Dinner tickets will be sold at the door. In past years I have tried to accommodate people at the door. I'm not going to be able to do that anymore. Please order your tickets in advance and avoid disappointment! The dinner will be held in the Visalia Convention Center. Doors and checkin starts at 6:00 p.m. with light hors d'oeuvres in the dining room. Plated Dinner will be served at 6:45 p.m. Note: if you are looking for the Dayton Contest Dinner, please go to www.contestdinner.com. Vegetarian option available on request - Grilled Vegetable Lasagna. Please email me with your request at the time you order your dinner tickets. There will be a prize drawing! Thanks to Icom and Wavenode for your donations! Dinner reservations are by pre-payment ONLY - no tickets will be sold at the door! If you would like to reserve a full table of 8 people, you may purchase a special reservation for $45. Please note that this is in addition to the dinner price. One table will be reserved for each payment of $45 - so please be sure you fill your table! Location of the reserved table will be "preferred" and assigned at the time of purchase on a first come first served basis. (If you have an opinion on what you would prefer please let me know at time of purchase.) And there will be a special surprise on each reserved table, provided by WK6I and Twisted Oak Winery. Seating is limited to 150, no tickets will be sold at the door. Online ordering closed. Ticket order deadlline was 11pm PDT on Monday, April 8th, 2019. You can check your reservation status here (PDF).